When I was wondering at evening “what I should cook today”, some small potatoes looked like new baby were on sale, which skin seemed eatable. Then I decided the dinner was to be scalloped potato. As usual, I didn’t know how to cook very nicely, then, I begged Ron the recipe. 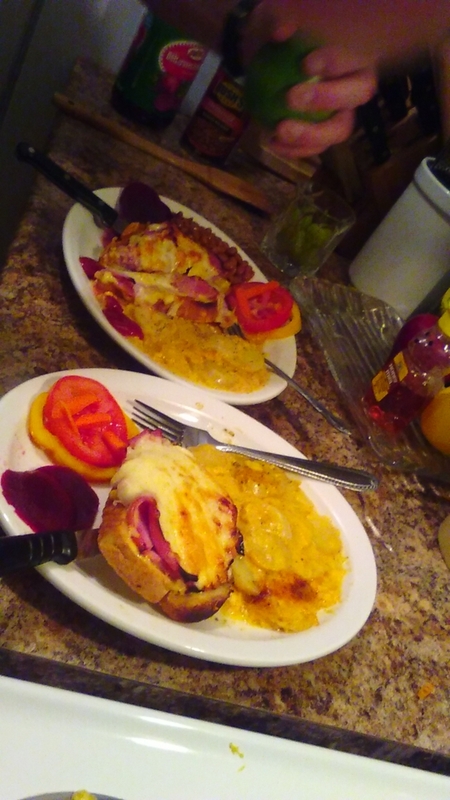 But He also didn’t remember exactly, so we tried cooking to create our recipe. During our conversation, I recalled that scalloped potato was side dish, not main. Slice onions and stair them in a pan. 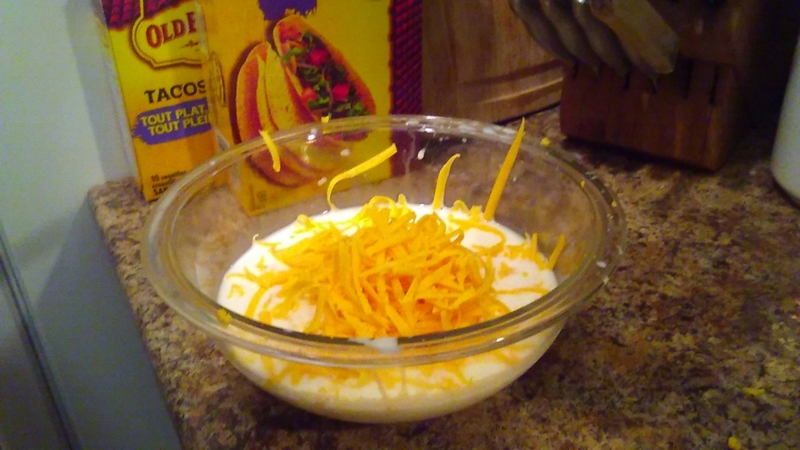 Put milk and shredded cheese in a small pan and heat them up until cheese is melt. Then put onion into it. When 3 is warm enough, put some flour to be thickened. Pour 4 into a casserole, soak sliced potatoes with it. Put some cheese on the top. 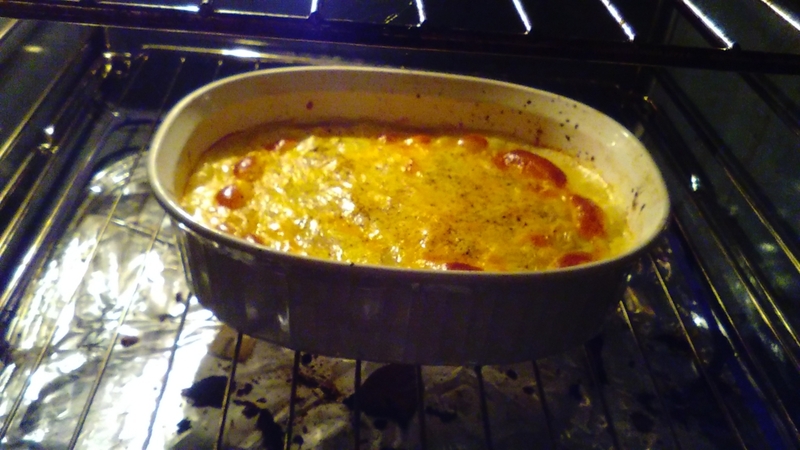 Put the casserole in the preheated oven around 350℃. When it is at a simmer and golden on the top, then decrease the heat at 200℃ and leave for about 30 minutes. Prepare a small bowl, put miracle whip, mustard and honey and mix them up. Spread 7 on one side of each toasted breads. 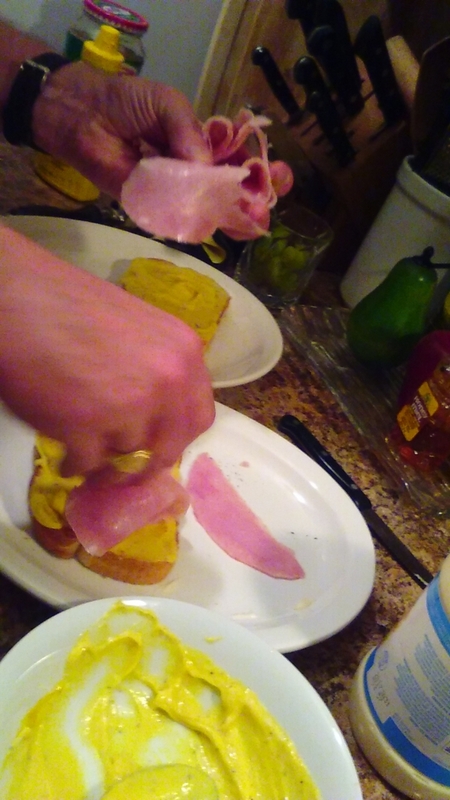 Place the other bread to sandwich and put some cheese on the top. Put them in the oven until cheese is melt. 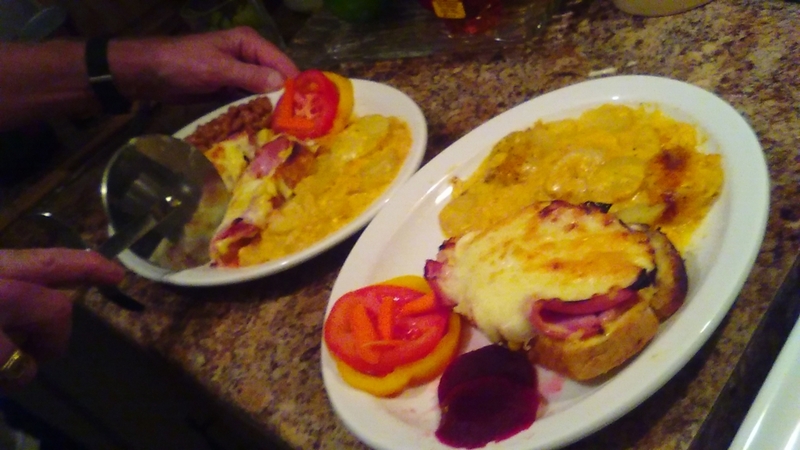 Choose your serving dish; place scalloped potato, sandwich and salad on the dish. Smile each other, then ready to eat.